For a trouble-free move to Oakdale, Meathead Movers is the company for you! Our professionally trained student-athlete movers are ready to get you into your new home. If you are moving to or from anywhere in Oakdale, we are the moving company for you! Our professionally trained student-athlete movers and our moving concierge service are here to help you with every stage of your move. Located in the San Joaquin Valley and Stanislaus County, Oakdale is a welcoming and dynamic town in Central California. Known as the Cowboy Capital of the World, it is a city with plenty of character and was used as a film location for the 1976 film, Bound for Glory. After your move, you can check out the Cowboy Museum and learn about the town’s rich stories at the History Center, or grab a bite to eat at the local saloon. For outdoor enthusiasts, you can book a rafting trip on the Stanislaus River or play a round of golf at the country club. 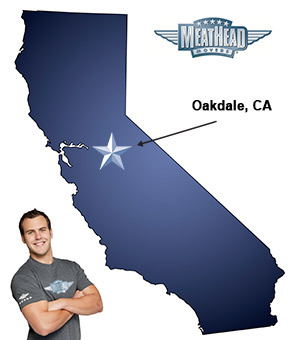 For those looking to move to Oakdale, Meathead Movers is the company for you. Our moving company specializes in local, long-distance, and commercial moves. We also provide reliable packing, storage, on-site relocations, and our distinctive moving concierge service, which connects you with local service providers. In fact, you can see what your neighbors have to say about us. With our 100% satisfaction guarantee, the only thing you have to lose is the stress that comes from moving! Contact us today for a free no-obligation moving quote and learn how we can help you on your next move! Moving to Oakdale? Here are some helpful resources. “Great service, friendly people, reasonable pricing. Super communication. Very detailed and clear contracts, explained completely and thoroughly. Great service, friendly people, reasonable pricing. Super communication. Very detailed and clear contracts, explained completely and thoroughly. Thrilled with Meathead and will absolutely be using them again!! Great organization, fair pricing, conscientious employees all coupled with friendly people and great personalities! I can’t imagine a better experience. The movers were efficient,courteous and friendly.